Have you ever wondered what happened to all those cars from the defunct companies from many years ago? 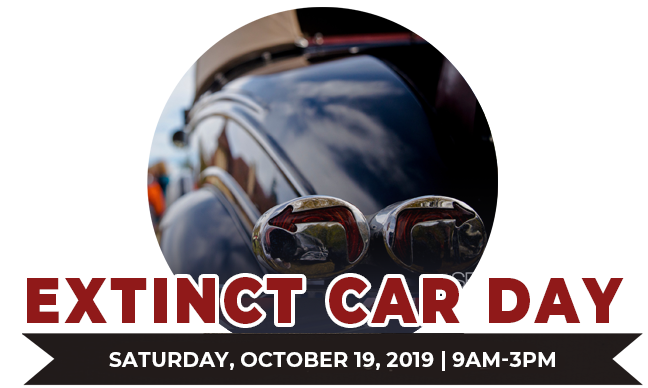 Here at Larz in October, many of them come together for one exciting day dedicated to all those extinct, but never forgotten automobiles. Don’t miss this opportunity to view hundreds of extinct cars, some of which you may have never seen. Event Details: The show starts at 10am and runs until 2pm. Admission will be $15.00 per car and includes one driver and a passenger.Please note: Museum members still need to pay the Car Registration fee. Spectator admission is Adults, $10. Military, seniors, students and children 6-12, $5 and children under 6 are free. Museum Members are always free! The Museum is open for your viewing until 4pm.